I’m afraid it’s once again time to prove my cultural ignorance by admitting that before I heard about this movie, the name David Foster Wallace didn’t ring a bell. And I’m not saying that because it’s so much fun to show the world how illiterate I am, but rather to assure you that – like me – you don’t have to be familiar with him or his work in order to enjoy this movie. 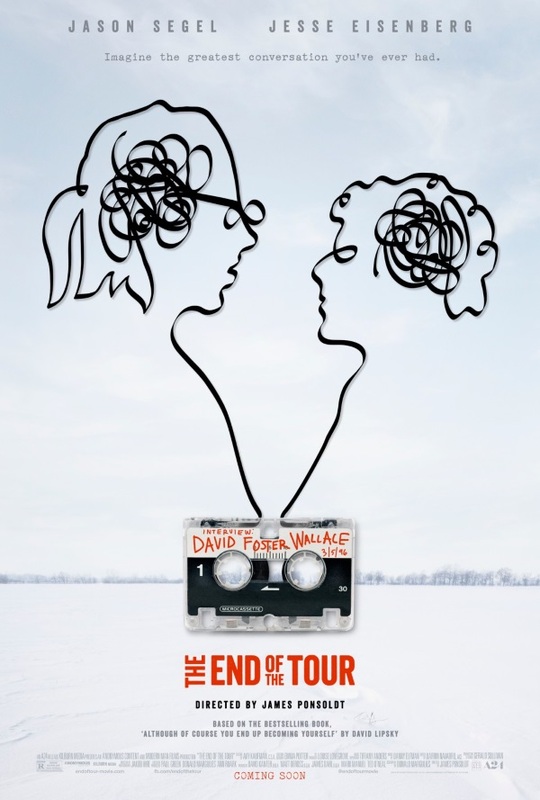 “The End of the Tour” offers an interesting and fascinating view into the mind of David Foster Wallace, but also portrays the fast-growing friendship between him and Rolling Stones-reporter David Lipsky. Not being content with focussing just on DFW – who seems to have perfectly embodied the cliché of a troubled artists soul – it tackles a lot of different subjects, like Lipsky’s apparent enviousness of his success. Also, during their conversations, they talk about anything and everything, and through their thoughts on wildly different topics, we get to know them more and more with every passing minute. It’s also very well acted, especially when it comes to Jason Segel and Jesse Eisenberg, who have great chemistry together onscreen. There were a couple of very funny scenes which made the movie quite entertaining. I also enjoyed Lipsky’s growing struggle with the growing conflict of interest between his job as an interviewer and their developing friendship, like when his editor forces him to ask David about the rumors concerning his drug addiction. And I really liked the framing device, which also led to a rather emotional ending. “The End of the Tour” managed to pique my interest concerning David Foster Wallace’s work (especially his magnum opus “Infinite Jest”) as well as David Lipsky’s book on which this movie is based on. And at least in my book, it was worth it just for that, and for bringing the life and work of this exceptional artist to my attention. This entry was posted in cinema 2015, movie reviews, new releases, Viennale and tagged 2015, biopic, David Foster Wallace, David Lipsky, Donald Margulies, drama, James Ponsoldt, Jason Segel, Jesse Eisenberg, The End of the Tour, USA, Viennale, Viennale 2015. Bookmark the permalink.